The one thing we can do now to cope with all four of these trends is to create a tax that fixes the pump price at $3.50 to $4 a gallon - no matter where the OPEC price goes. Because if consumers know that the price of oil is never coming down, they will change their behavior. And when consumers change their behavior in a big way, G.M., Ford and DaimlerChrysler will change their cars in a big way, and it is cars and trucks that consume a vast majority of the world's oil. The fourth piece was a re-read. Michael Walden, an economist out of North Carolina State University, is a frequent contributor to popular media on economics matters. His latest idea is to eliminate the gasoline tax and replace it with a mileage tax. A mileage tax charges drivers on how many miles they drive, not how much gas (or other fuel) they use. As such, it is a true user fee, since a driver's use of the roads is directly related to how many miles he or she drives. Since the mileage tax is independent of the type of fuel used and fuel efficiency achieved, it won't be affected by the use of gasoline alternatives, hybrid vehicles or gains in fuel efficiency. True, I guess, but environmental economists would probably argue that one feature (not a bug) of gas taxes is incentivizing a transition to high efficiency vehicles. In other words, my neighbor who drives a Hummer and gets, what, 10 miles per gallon, pays 5 times the gas tax that my co-worker with the hybrid pays. This should encourage her to consider a more efficient mode of transportation. There are approximately 7.1 million vehicles in North Carolina. Seems like a $700 million infrastructure (roughly 4 percent of the NC budget) investment to me. Perhaps it is time, then, to abandon the rancorous (and seemingly futile) debate over fuel taxes - or, for that matter, fuel economy standards - and to focus on the fresher idea of taxing vehicle use directly. Fuel taxes are a diversion from what might work - namely broad-based carbon emissions taxes and technological change that reduces demand for hydrocarbon fuels. Higher gasoline taxes would reduce fuel consumption not only by encouraging the development of more fuel-efficient vehicles, but also by encouraging people to drive cars rather than sport-utility vehicles and minivans, to buy new (more fuel-efficient) vehicles more often, and to reduce the overall amount of mileage. Indeed, tighter CAFE standards would lower the cost per mile of driving, and could worsen some of the other problems discussed above, such as traffic congestion. What gives? It sounds like he's grown tired of the infeasibility of the proposal in the U.S. Here is a RFF Discussion Paper that might more fully explain Ian's change of heart (note to self: read it!). 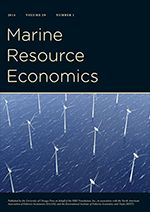 This paper develops an analytical framework for estimating the second-best optimal gasoline tax, accounting for passenger vehicle externalities and the efficient balance between excise taxes and labor taxes in financing the government’s budget. We estimate the optimal tax for the United States at $1.01/gallon, which is 2.5 times the current rate; for the United Kingdom, the optimal tax of $1.34/gallon is about half its current rate. However, welfare gains from replacing fuel taxes with per mile taxes are large for both countries. If taxes were on mileage rather than fuel, UK motorists would be undercharged rather than overcharged at current revenues. OK, I'm starting to get it. We should raise the gas tax to $1/gal but, if we can tax mileage, that would be better (in terms of efficiency). I dig it (that's 70s cool talk for our youngish readers)! But I'm not getting over the $700 million up front costs, and that's just in NC, anytime soon. Bottom line: I'm still a gas tax fan. And no, I'm not stalking Ian Parry. And, where did Friedman get his $3.50-$4 per gallon best price?